> Potentiometric (ISFET): Selective to ionic and molecular analytes. > Amperometric: Detection of molecular species, COD, redox potential and biosensors. > Impedimetric: Conductivity and complex impedance measurement (chemical sensors and biosensors). > Multi-sensors: Integrated transducers that combine the capacity of different individual sensors in a single chip. 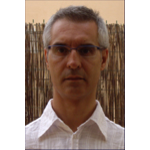 The GTQ (Chemical Transducers Group) is a reserch group of IMB-CNM (CSIC). The IMB-CNM is the largest public microelectronics R&D center in Spain. Chemical sensors developed with microelectronic technology. The GTQ developes new (bio)chemical transducers based on different materials and interaction methods and their adaptation to market requirements. Chemical transducers are Integrated devices based on microelectronic technology with the capacity to translate chemical information in a processable signal (electrical or optical). We're loking for enterprises and organizations interested in the development of applications using our sensors and technologies. > Potentiometric (ISFET): Selective to different ions and molecules. > Impedimetric: Conductivity and impedance measurement (chemical sensors and biosensors). > Direct determination in liquid and semi-solid samples. > Pre-treatment sample not required. > “In situ” measurement . > Out signal compatible with the industrial standards . 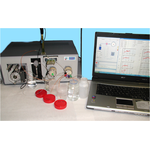 Magnetic stirrer with incorporated wireless sensor/s for measuring of PH and/or other parameters in shaked liquids. he GTQ has designed a device combining a magnetic stirrer with one/several wireless sensors obtaining a single device that shakes the sample and controls the parameters of it without using electrical wiring. This allows usability complete sealing of the container, “real time” control and measurement and a device size reduction. 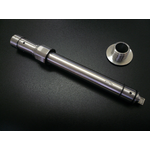 The sensor in the magnetic bar transmits real-time information of the measured parameter in the sample. The information is received by a read-out coil incorporated in the magneto-rotatory. By changing the bar with the specific sensor, the same device can be used to measure different parameters. The wireless sensors used can be based, for example, on inductive coupling powering and data communication. The organization is looking for companies interested in licensing the patent and collaborates on the development of applications. 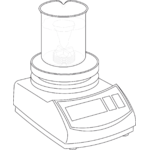 > Mix up of liquid sample and parameters measurement with a single device. > Measurement of several parameters with a simple change of the magnetic bar with the specific sensor. > Tightness of the container. > Real time measurement and evolution of chemical reaction. Multiparametric portable optical system for counting and/or analysing organic (microorganisms) and inorganic suprananometric particles. 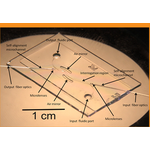 The GTQ has developed a portable photonic analysis system for single/multi-parameter measurement by combining a disposable microoptofluidic system coupled to a broadband light source and a spectral readout setup. It can be used for counting and analysis (with or without labelling) of either organic (microorganisms) or inorganic suprananometric particles. We are looking for companies to license the patent and collaborate in the development of applications. > Parameters can be determined in milliseconds and simultaneously by the three regimens used for analysis, detection and counting of particles: scattering, absorption and scattering + absorption. > The use of multiple internal reflection principles allows a smaller device size and higher sensitivity, making it easily transportable. > Internal cell is disposable, which is very suitable for toxic samples. > Improved accuracy for counting particles (including cells) than Neubauer Chamber without repeating measures. > Faster than flow cytometry and without complex and expensive equipment requirements. Multisensor system for quality control in food, beverage and pharmaceutical industries. The GTQ has developed a multi-sensor system for the control of the composition and quality of products according to established quality standards (patterns) in all producion phases: raw materials, by-products and final products. - A set of sensors (pH, temperature, conductivity, redox potential, K+, Na+...). fabricated with microelectronic technology. - A fluid flow system. - A multivariate calibration and pattern recognition statistical program (PCA, Neural Networks, PLS). - To provide global information (pattern /quality standard) of a product or by-product including an organoleptic analysis. - To quantify physical and chemical parameters with the same accuracy as standard methods. Co-operation with companies for industrial and commercial product development. - Control of chemical composition. - Control of quality standards. - Customizable (chemical parameters and quality standards). - Applicable to raw materials, by-products and final products. - Organoleptic Analysis of final product. Cleansense: Microsensor for measuring the degree of cleanliness/dirtiness on production lines of pharmaceutical industry and food and beverage industry. The pharmaceutical and food and beverage industry have to fulfil high requirements in terms of hygiene and cleanliness (controls, legislation, ...). Therefore cleaning processes are managed in excess in order to ensure an adequate hygiene and quality of products. Hence the economic and environmental cost is substantial. Cleansense consists of a probe with an integrated microsensor capable of measuring in real time the degree of cleanliness/dirt (besides ionic conductivity) on production lines of drug, food and beverage. - Overuse of water, reagents and energy. - Waste, and its cost of treatment. - Downtime of the production. Instrumentation companies, engineering companies, manufacturers of production lines or end-users (pharmaceutical industry and food and beverage industry) interested in collaborate in the development and commercialization of Cleansense. 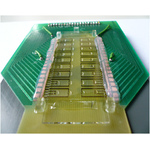 Electric and reusable readout device for (bio)microarrays. GTQ has patented an electric and reusable microarray reader that enables to work with standard low cost substrates of traditional fluorescent reading systems but with a much more compact and cost-effective equipment. The device can replace optical microarray systems (ELISA ...) or lead to new POC (Point-of-Care) applications in areas such as pediatrics, geriatrics, emergency units, GP medicine, veterinary, sports, developing countries, archaeology, etc. Unlike other electric readout systems, this reader can be cleaned manually or automatically and be reused an unlimited number of times.